For those sending a child off to college, it’s an exciting but emotional time. See the best advice from the Know Your Value parents who have been there. The summer days are growing shorter, which means back-to-school season is nearly here. 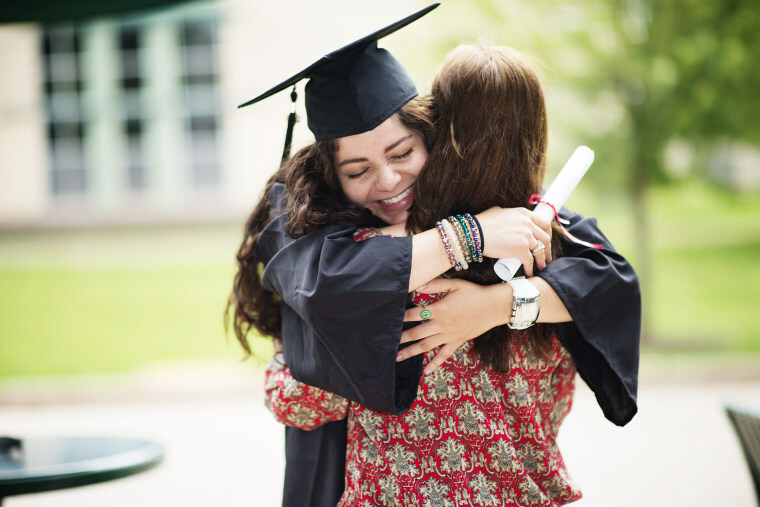 For those sending a child off to college – especially if it’s their first year – it’s an exciting but emotional time. Many of the Know Your Value team members and their friends have been there. Below, they share their "in the trenches" insights, hard-won lessons and best advice for handling the transition. “As both of my daughters went off to college I indulged them a bit, not in a materialistic way, but rather letting them react, feel, and emote without my judging or commenting on it." "Our daughter was always a highly disciplined, straight-A student, so she got into an amazing university. But she was putting a lot of pressure on herself for college performance. We finally sat her down and explained she had already won the top prize by getting into the college she wanted; now she was competing only against herself. She didn’t need to worry anymore about how anyone else was doing." "She is famous for making to-do lists, so to remind her of our conversation, I wrote three things on a Post-It note and put it in her dorm room. It said, ‘1. Be safe. 2. Work hard. 3. Have fun.’ She gradually lightened up and had an incredible four years at school. What struck me most, though, was when she moved back home after graduation last year. One of the first things I noticed in her room at home was the Post-It I had given her, now stuck to her bedroom mirror." "In the days leading up to her departure, I tried to remind myself that this wasn’t about me. I tried to make myself focus only on her experience (Did we get the correct-sized sheets? Is she feeling good about her roommate?) because when I started thinking about myself too much I got distracted from helping her. I decided that after drop-off I could revel in my emotions." “My daughter knew what a sacrifice it was for me to send [her] to a school that cost $52,000 a year. So she did not take it for granted, and she was very transparent: I got access to her grades and her Alabama email. My kids knew that if they did not have the grades, they were coming home to [attend] college [closer to home]. End of discussion." “Try to keep it together emotionally in front of your child. You don’t want to give the impression you’re not affected at all, but if you have a complete breakdown you are shifting a lot of burden onto your child. You need to try as best you can to be ‘the rock.’"
"Also, don’t let others’ experiences shape yours. You will hear about parents who cried during the entire drive home from drop-off, and about those who were relieved to get Zack or Zoe out the door. Every parent, child and parent-child relationship is unique and your reaction to the experience will be your own."